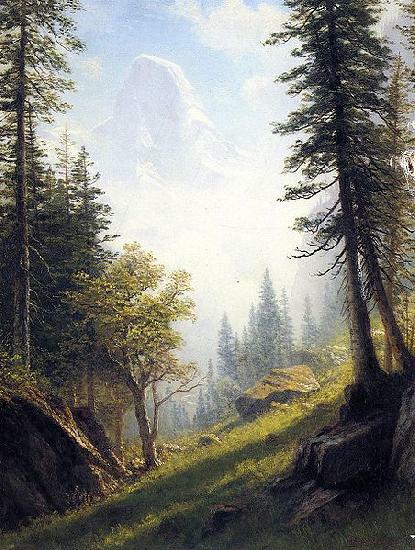 Johann Hermann Carmiencke, a landscape painter and etcher, was born at Hamburg in 1810. He went to Dresden in 1831 as a journeyman painter, and while there studied in Dahl's school. Thence he went to Copenhagen in 1834, where he studied in the Academy, and presently repairing to Leipsic, received instruction there from Sohonberg. Returning to Copenhagen in 1838, he proceeded to travel as an artist in Sweden, Bavaria, and the Tyrol, visiting Italy from 1845 to 1846. He was then appointed court painter to Christian VIII, for whom he executed many works. In consequence of the war, he went in 1851 to New York, where he was well received, and admitted into the Academy of Brooklyn. His works were mainly groups of mountain ranges, which were very effectively rendered, and possessed an excellent tone the execution being simple and true to nature. The 'Mountain Tarn' and the 'View on the Zillerthal' may be particularly noticed. There are thirty-five careful etchings of landscapes by him, some of which were published by the Art Association of Copenhagen in 1850 and 1851. He died at New York in 1867.